Brazil 2016  Venha Swissar com a gente! 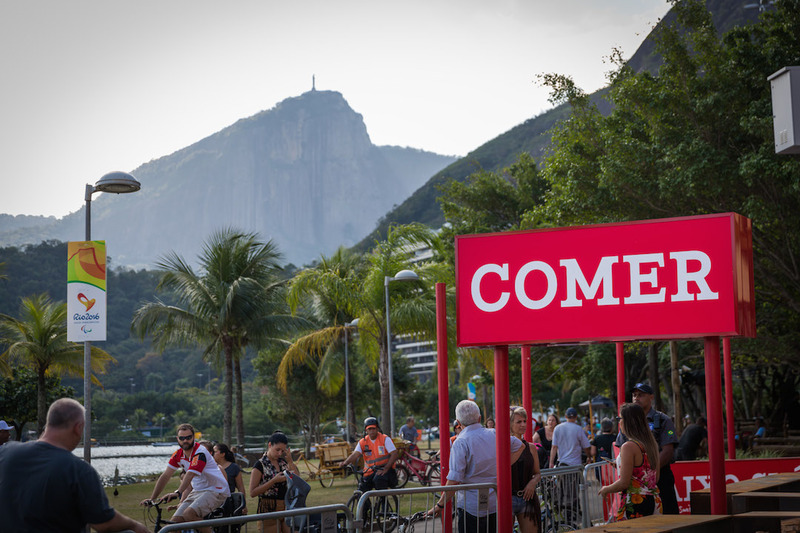 The House of Switzerland is back in Rio de Janeiro to celebrate sport! 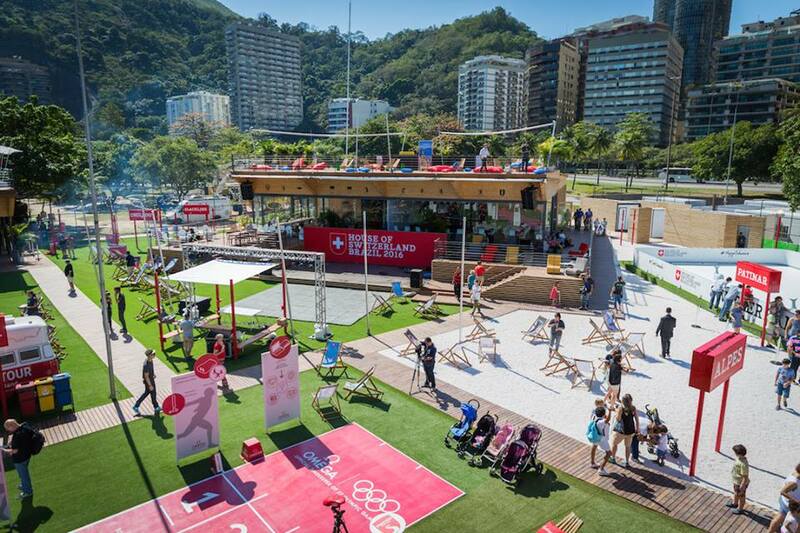 Following the great success of the popular Baixo Suiça meeting place during the 2014 FIFA World Cup in Brazil, the Switzerland's hospitality zone has reinvented itself for this year's Olympics. 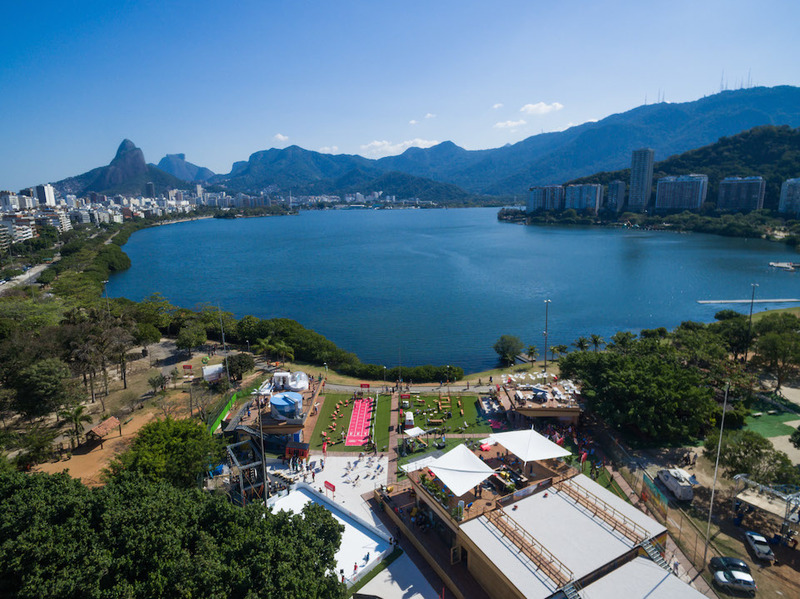 The House of Switzerland is in a prominent location on the edge of the Lagoa, a popular lagoon in the centre of Rio 15 minutes' walk from Copacabana and Ipanema beaches. The House of Switzerland opened on 1 August, ahead of the start of the Summer Olympic Games, and will for the first time also be open during the Paralympics. As one of the few national hospitality houses open to the public, the House of Switzerland is a meeting place for guests from near and far, for Swiss and international athletes, their fans, media representatives and VIPs in politics, business, culture and sport. It provides a pleasant and surprising encounter with a multifaceted Switzerland. The varied programme of activities for young and old mainly takes place outdoors. 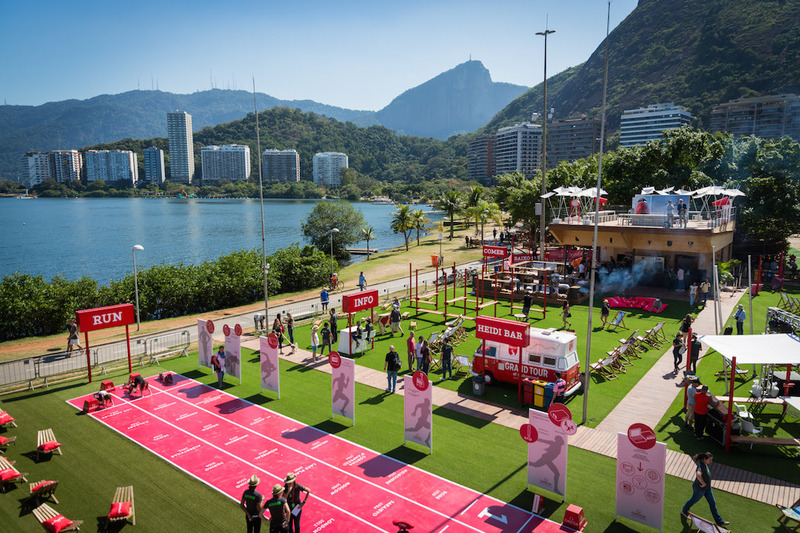 Alongside Swiss specialities from the "Feuerring", visitors are welcome to picnic on one of the venue's lawns, watch the Games live on a giant screen, celebrate medals with Swiss athletes and relax in a hammock. Visitors can exercise on the 200 square metre synthetic ice rink and the sprint track with timing system, or discover Switzerland's tourist attractions on one of the roofs that is equipped with a snow globe, a gondola and mountain railway. The Switzerland synonymous with education, research and innovation also has a platform in cooperation with Swissnex, including an urban farming project. And of course there is Swiss chocolate in the form of a chocolate-making workshop. A creative display concept creates a Swiss atmosphere, playfully combining modern Swiss design with traditional Swiss elements. 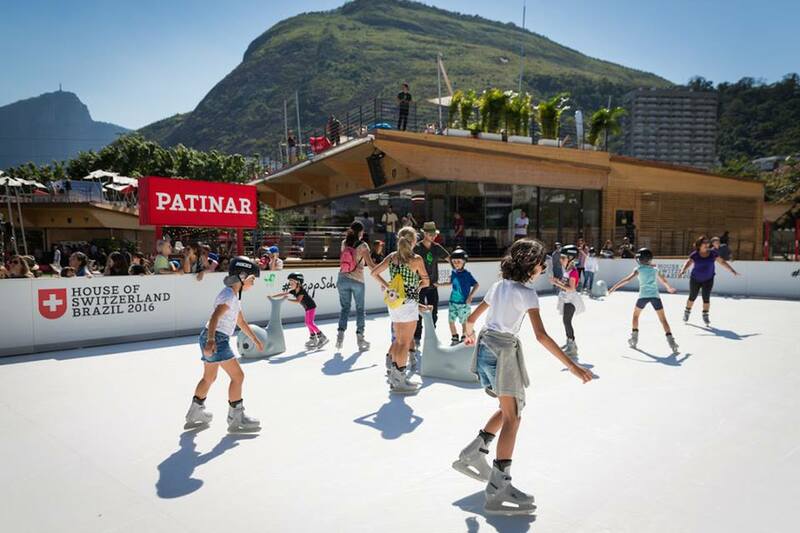 With its location in the city centre, surrounded by hills and near to the Lagoa, the House of Switzerland is a little bit of Switzerland and Brazil at the same time, the meeting of two national characters and two natural environments. All the activities of this event have taken place. If you would like to see or revisit them click on the button below.